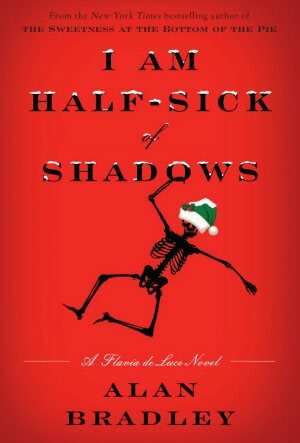 There isn't much about this dark but funny, quirky mystery series that I haven't said already in previous reviews. Since I first read The Sweetness at the Bottom of the Pie, the first installment in the Flavia de Luce mystery series, I have been hooked. The books' redoubtable protagonist, the brilliant 11-year-old chemist, Flavia, has become one of my all-time favorite fictional characters, and the series is the best kind, in which the stories are compelling in and of themselves, but it is the characters in the books that keep me coming back for more. In this installment, Flavia discovers that her father, beset by overwhelming debts, has had to rent their rambling estate, Buckshaw, to a film production company. Instead of the traditional holiday season they had been expecting, Flavia and her family will be hosting an entire film crew, including a very famous actress. Flavia is beside herself with excitement - and when a murder happens, she is in the thick of things and is determined to discover the culprit. 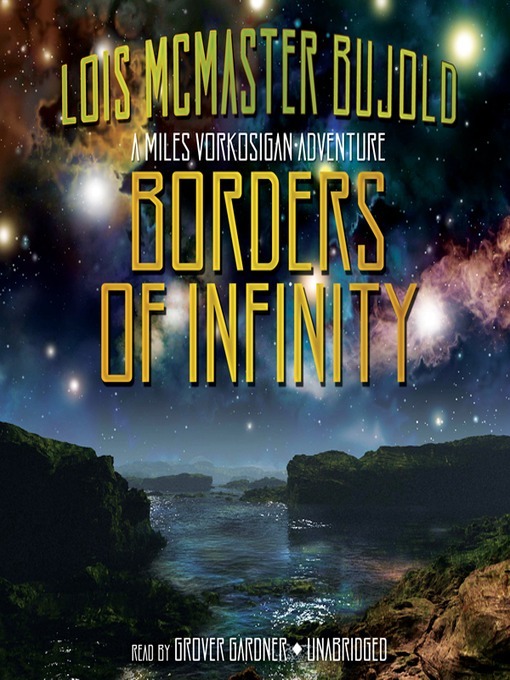 I recommended the series to a customer at my library a few years ago, even though he typically reads a lot of dense nonfiction books, because I thought the protagonist and the intelligence and humor of the books would appeal to him. 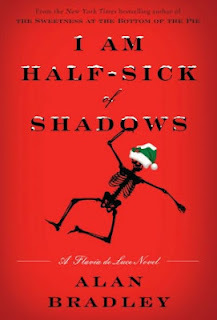 Don't get me wrong, though - while the books never fail to make me laugh out loud, they can also be dark and disturbing, and Flavia's situation is downright heartbreaking at times. At any rate, he loves the books and periodically stops by the reference desk to see if another one is in the works. He made a comment to me the other day that got me thinking, though. He said, "It's hard to convince people to read these books." And he's right. Many people cannot get past the fact that the protagonist is a child, even though the books are targeted at adults. I've recommended the series to people who immediately dismiss it out of hand, as soon as they hear the premise, and that's too bad. Because I've never had anyone read it who hasn't enjoyed it. I wish more people would give it a try. And here is an example of Flavia's storytelling style. I strongly recommend the audio versions of this series - Jayne Entwistle is Flavia de Luce's voice, as far as I'm concerned. I wouldn't ever bother to read one of these books for myself. That's how good she is. "Most chemists, whether they admit it or not, have a favorite corner of their craft in which they are forever tinkering, and mine is poisons. While I could still become quite excited by recalling how I had dyed my sister Feely's knickers a distinctive Malay yellow by boiling them in a solution of lead acetate, followed by a jolly good stewing in a solution of potassium chromate, what really made my heart leap up with joy was my ability to produce a makeshift but handy poison by scraping the vivid green verdigris form the copper floatball of one of Buckshaw's Victorian toilet tanks." A Bookworm's World: "Although the murder plot line is good, for this reader, it is the characters that Bradley has created that capture and hold my interest the most. I love the quirky inhabitants of the village, the sparring sisters and how we learn a little bit more with each book about some of them." Becky's Book Reviews: "I just LOVE this character. I am not sure this is the best Flavia de Luce novel in the series. But. It is so much fun to spend time with a character that you love." Lesa's Book Critiques: "... those of us who enjoy these mysteries return time and again for Flavia de Luce, the lonely eleven-year-old with a passion for poisons and a propensity for crime investigation." This is one of my eleven-year-old daughter's very favorite series (along with Tiffany Aching, The Hunger Games, and Skulduggery Pleasant), which are among mine as well. She has already read Out of Sight, Out of Time and loved it. I've only read the first two, which I enjoyed, but it was a while ago and the events are a bit hazy in my mind. So I may have to reread (or re-listen - the audio books are great) in order to continue. 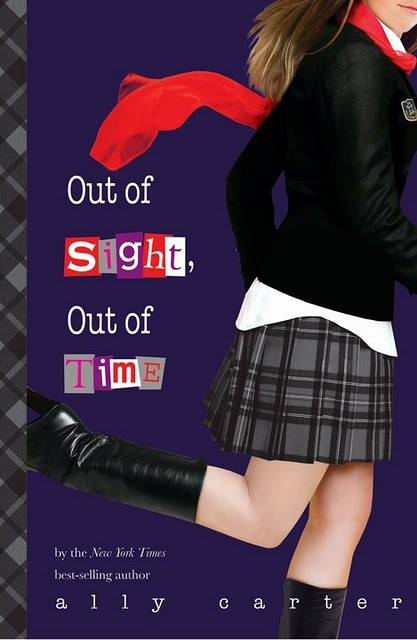 For those of you who aren't familiar with the books, it's a YA series about girls who attend what appears to be a hoity-toity prep school for rich girls but is actually a school for spies. There are fun spy gadgets and gizmos, interesting exams and projects, and exciting, dangerous fields trips. Cute boys, too, and issues like honesty in love vs. keeping classified information and cover stories secret. What's not to like? 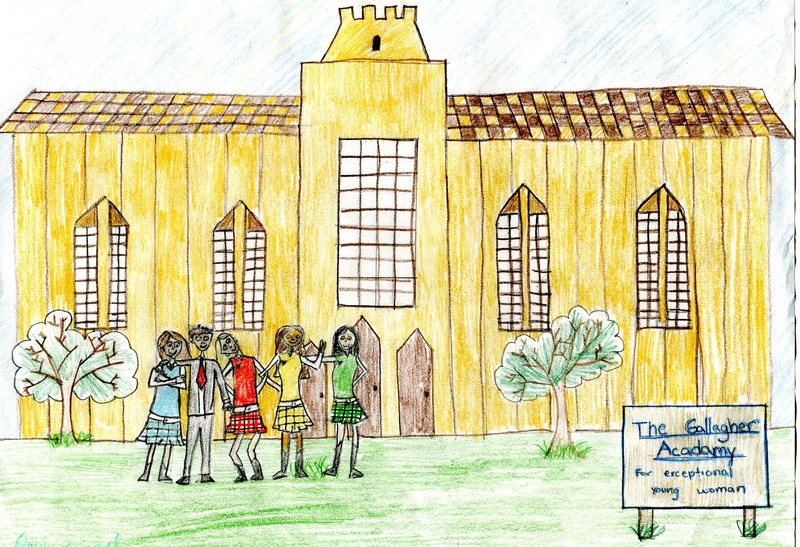 Here is a drawing of the academy and the characters as envisioned by my daughter, who made it a few weeks ago, when she was waiting impatiently for the next installment in the series. Bad luck seems to have followed Jean "Jinx" Honeychurch around her entire life, starting from the day she was born, when lightning struck the hospital and caused a massive power failure. 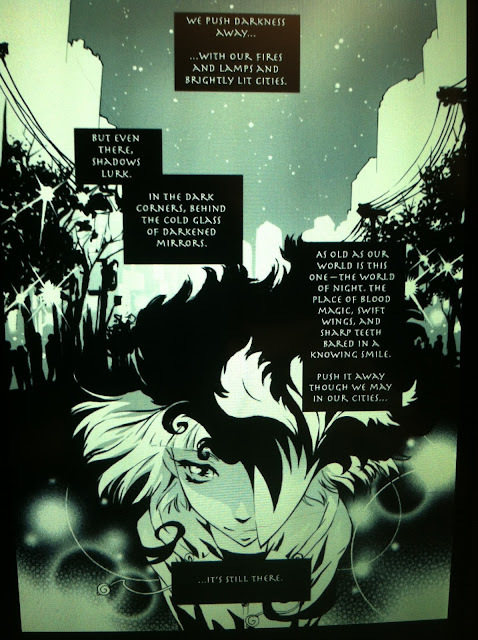 The book opens as Jinx arrives in New York City. It isn't clear at first why she has left her family to come to the big city, but it seems that something bad happened there, and Jinx needs to get away for a while and make a fresh start. She's very much looking forward to spending time with her cousins, particularly Tory, whom she hasn't seen in a few years, but remembers having tons of fun playing with her the last time her New York relatives visited Jinx's rural town. Jinx is shocked when she sees how much Tory has changed. She's vampy, super skinny, nasty, and into drinking and drugs. She's spiteful and sneaky, and is not at all happy to have Jinx there, particularly when her handsome neighbor, the boy she's lived next door and has been crushing on for years, seems inordinately interested in Jinx. When witchcraft enters into the mix, things take a decided turn for the worst. 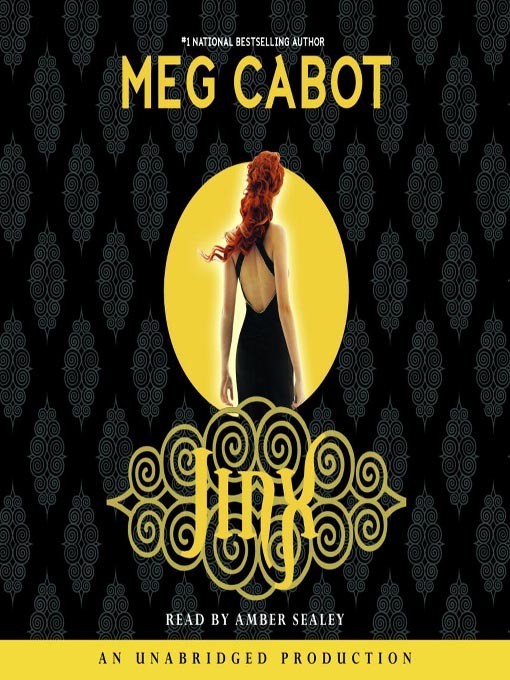 Meg Cabot's Mediator books are one of my favorite YA series, so when I saw this audiobook offered for download in my library's digital collection, I snapped it up. Unfortunately, I was a bit disappointed. I never really connected with Jean, who is sweet but so, so gullible - to the point that her gullibility seemed more a convenience for the sake of the plot than a real, believable personality trait. The characters were fairly stereotypical, and Tory's parents were way too conveniently oblivious - even after the point when they believe their daughter has made a suicide attempt. I also had issues with the book being written in the first person, but Jinx purposefully omits things to suit the needs of the story line. It made me feel manipulated (although by the time the big reveal comes, I'd pretty much figured out what was going on). 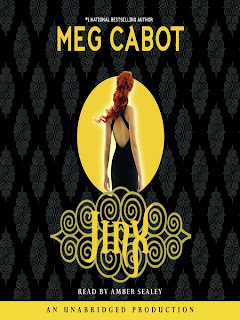 Of course, this is a book by Meg Cabot, which means that the writing is tight, the pacing is good, and the dialog works well. It was just not my favorite. I am looking forward to continuing with the Mediator series, though - there's a heroine after my own heart! Book Dweeb: "It’s a quick read with relatable characters and just a touch of the witchy stuff. Readers who don’t dig chick lit, however, will find the story filled with too many cliches for comfort." Em's Bookshelf: "Cabot keeps up the suspense until the very end. The ending, by the way, is kinda spooky so I recommend reading it on a dark and stormy night." Me, My Book and the Couch: "Jean, the protagonist, came across as boring and naive. I often found myself wanting to shake her and say 'Can't you see what's going on here?'" Ever since I read the first Mercy Thompson book, Moon Called, I knew I'd be reading everything by Patricia Briggs. This one is a re-release of one of her very earliest books, and she was able to do some editing before it was republished, but in the introduction she says that she did her best to maintain the intent of original manuscript. 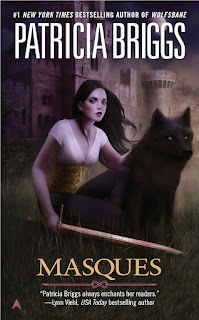 This is a fairly traditional fantasy novel, but of course, as I hoped and expected, it is character driven, with complex characters that I quickly came to care about. The main protagonist is Aralorn, who is a master of weapons and of disguise. She works for the kingdom's spymaster, who sends her on a mission in which she learns of an imminent threat to the kingdom's safety - only because of the nature of that threat, no one can believe her. She and Wolf - a mysterious creature she once saved from a pit trap - work together to neutralize the threat, but they are grievously outnumbered. 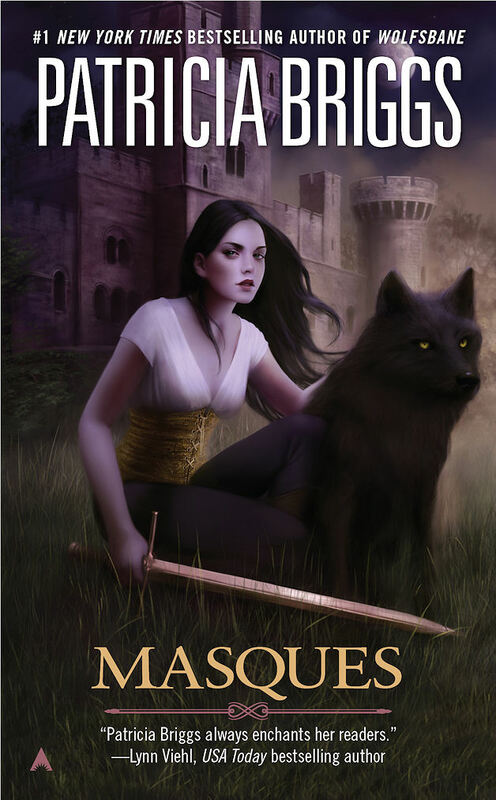 This is a solid traditional fantasy novel that would appeal to fans of Mercedes Lackey and Robin Hobb. I read When Demons Walk, the fourth book in this series, a few years ago, not realizing that it was part of a series. It is set in the same world, but features completely different characters, so I don't feel I missed out on anything by reading it out of order. I particularly enjoyed the introduction, in which Briggs discusses her writing in general as well as the experience of reworking this early novel. Janicu's Book Blog: "It reminds me of books about female heroines having adventures written by Robin McKinley and Mercedes Lackey that I read in my teens and still hold a fondness for today." The Written World: "A lot of the foundations of her later work were there - strong heroine, romantic tension without being overtly romantic, interesting and memorable supporting characters and a story with a clear ending that also leaves an opening for future adventures." We bought the girls Nooks for Christmas this year, and when I sat down to show them how to download library books onto their readers, we ran into a little problem: everyone else got e-readers for Christmas, and they had checked out everything we looked at on the Overdrive site. So we narrowed our search by clicking "show only items with available copies" and "young adult/juvenile" - and guess how many hits came back? Two! One of them was this, the first book in a series that I'd never heard of, but we thought it looked like fun, particularly when we saw it was recommended to fans of the Gallagher Academy series, which is my daughter's favorite series. She transferred it successfully to her reader, and was enjoying it so much that I put a copy on my Nook as well, and we both read it at the same time. That's one huge advantage to e-readers! It's a fun ghost story with a mystery element, and it's told in alternating viewpoints by the ghost and the goth respectively. The ghost is Alona, a popular cheerleader who reminded me a lot of Cordelia in Buffy. 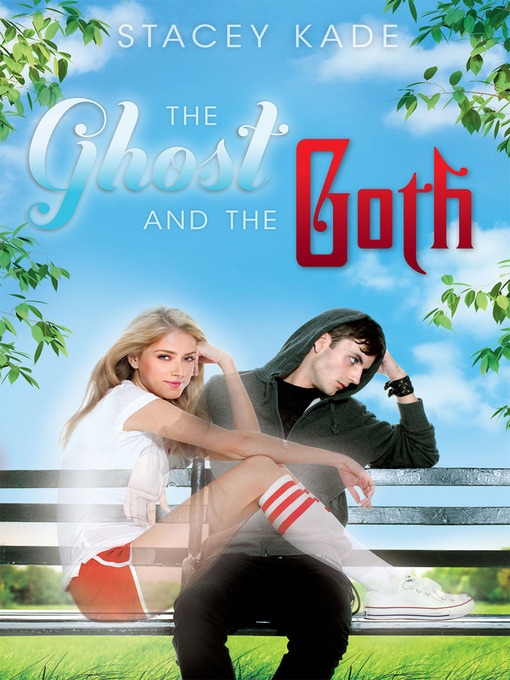 The goth is Will, an introspective teen whose main problem that he can communicate with ghosts, and if they find out he can, he'll be mobbed by them all asking him to fulfill various requests so they can find rest. He wears a headset all the time, because the music helps keep the ghosts at bay, and he has told no one about his ability - his mother and his therapist are fairly close to having him committed. So when Alona, who dies at the beginning of the book, notices that Will can see her, she immediately latches onto him. She wants some answers, and he seems to be the only one who knows anything about her ghostly situation. The characters start out as fairly stock stereotypes, but as the story progresses, deeper aspects of their characters are revealed, so there turned out to be more substance than I expected. 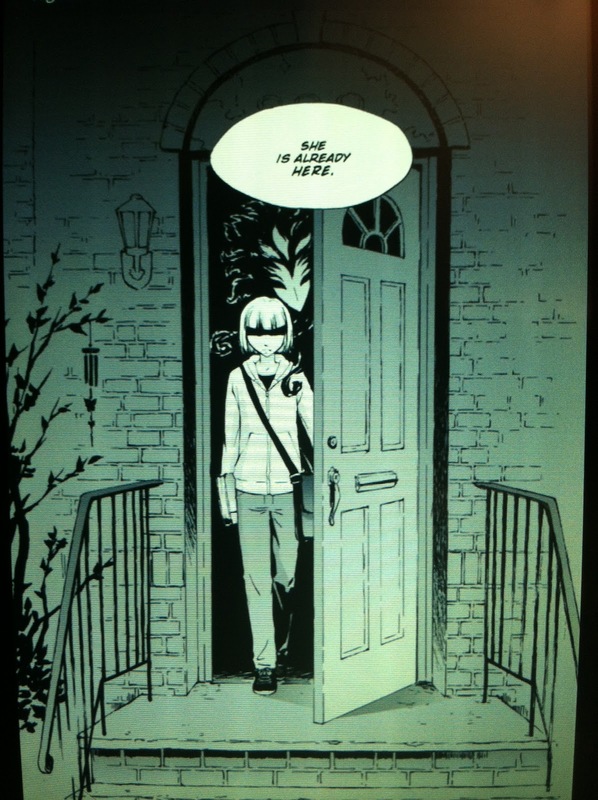 The story is funny, has an intriguing supernatural element, a sweet romance, and a refreshing antagonist. My eleven-year-old daughter enjoyed it even more than I did, and she's in the middle of the sequel right now. While this book probably could have been a stand-alone, and it didn't end with a massive cliffhanger or anything, I'll be reading the sequel as well. Muggle-born: "So while the romance captivated my interest, the actual paranormal aspect of the book did not. I cared about Alona and her past and future, but I couldn’t say the same about the other ghosts." Small Review: "The real accomplishment here is that the book never feels bogged down, depressing, or overly serious. Instead, the author manages to maintain a light and sweet tone throughout the book without diminishing the importance of these issues." Truth, Beauty, Freedom & Books: "Great characters, romance, fab storytelling--I actually bought a copy, that's how much I enjoyed it."